Wayne and I married at Capital Hill Baptist Church (SW 25th and Harvey) in Oklahoma City. Hugh Bumpas officiated. In the first photo, Rev. Bumpas had just pronounced us husband and wife and said, “You may kiss the bride.” Wayne had turned to leave as soon as Rev. Bumpas said we were husband and wife; however, I, as a stage performer, knew we had practiced the “kissing the bride” part of the ceremony, so I grabbed Wayne and pulled him back to complete the wedding process. All the attendants, the minister and the audience were laughing. The second photo took place as we licked our fingers after having shoved the piece of wedding cake in each other’s mouth. Who is that pretty girl in the mirror? 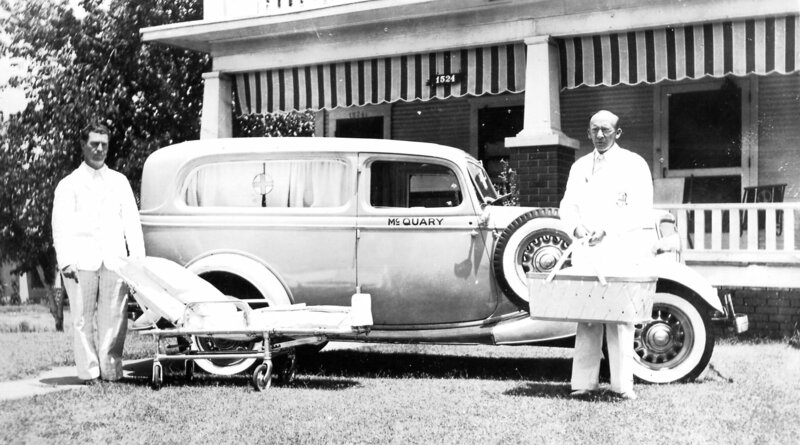 It was apparently typical to deliver the mother and baby home in an ambulance and the photo above is an advertising photo of the company that brought mother and me home from the hospital. Mother’s recollections of the house on Shartel are as follows: “The Peters owned this little house; it sat on the alley of Shartel and the street car ran right in front of our house. That was a little house and the Peters lived in front of us and then there was a garage and then this little house on the alley. It had 3 rooms. Bedroom, kitchen and a little bitty living room about like that you see . As a matter of fact the floor plan was about the same as this.” (describing her senior citizen apartment off SW 74th & May). Mother told me her brother, Johnnie, and his wife had lived there previously. Fall 1940 looking north towards the Peters’ house. In September 2011, I was looking on Google maps street view for the 2112 Shartel addresss and observed something that reminded me of the above photo taken of me outdoors in a high chair. I’d never known where that photo was taken and the relative similarity made me want to see the actual Shartel location rather that the street view online. I suppose it’s surprising that although I’d always known the address where mom and dad lived when I was born and had driven up and down Shartel any number of times, I’d never thought to look at the area and/or house we’d lived in when I was born. I called Kay and asked her if she’d like to drive over with me; she agreed and within a few minutes we were on our way across town. My interpretation from Google maps street view was correct and the little house is still there. Kay and I both took photographs of the house and area and a 2011 photo of the home is below. 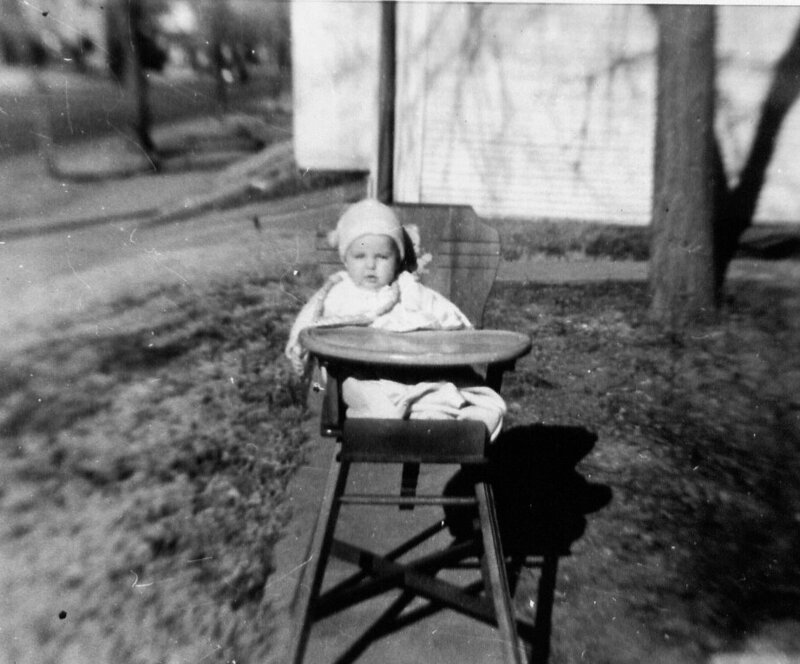 My highchair was situated at the top of the rise just past the left corner of the front of the house. 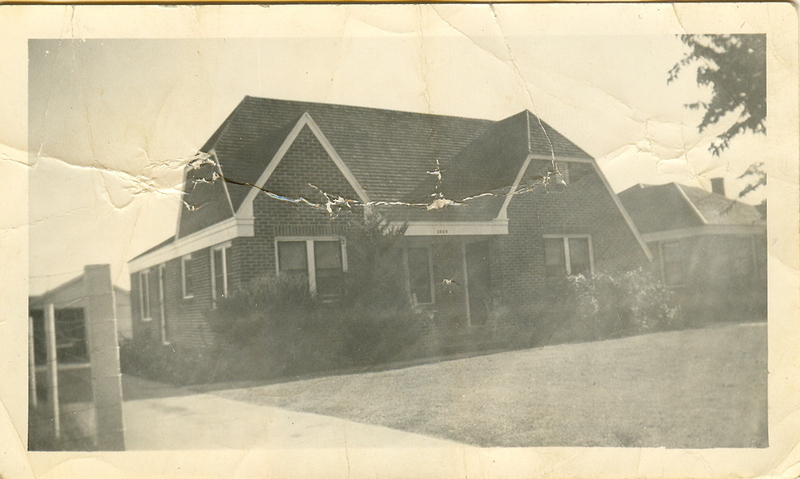 There was a basement in that house – the entrance was through the closet in Mother and Daddy’s bedroom. Mother did the wash in the basement and that was where all my doll furniture was set up. I truly loved all that furniture and played with it a lot. In 1945, Daddy was caught cheating at cards/dominoes and the people he was playing with threatened to kill him. Mother and Daddy packed up in the middle of the night and we moved out (went to Gainesville, Texas). 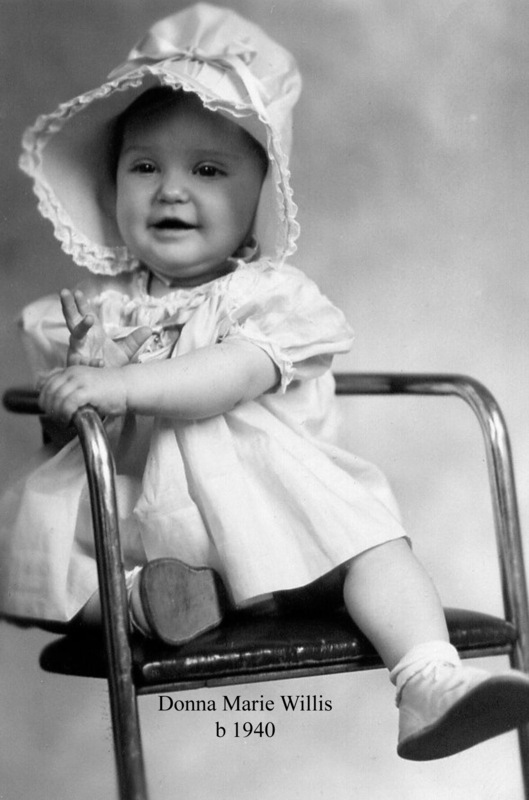 They gave all my doll furniture to Connie Nothrup, a daughter of her friends, Melvin and Evelyn Northrup. We came back to Oklahoma City once (that I remember) to visit with the Northrups and I was so happy to be reunited with MY doll furniture and Connie informed me in no uncertain terms it was HER doll furniture. I truly resented her and don’t know if we ever saw them again. 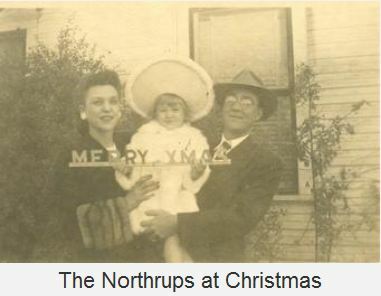 The Northrup’s son, Lauren, died about 1944 of leukemia. I had known him during the time of his illness and the thought of leukemia was a deep fear in me until well into my adulthood. It symbolized to me the ultimate threat of death – much more than polio, although polio was probably the largest fear of adults. My bedroom window faced the house to the east of us; the bedroom on the west side of that house was occupied by a little boy. Mother said the two of us would often lie on our beds with the windows open and talk to one another. 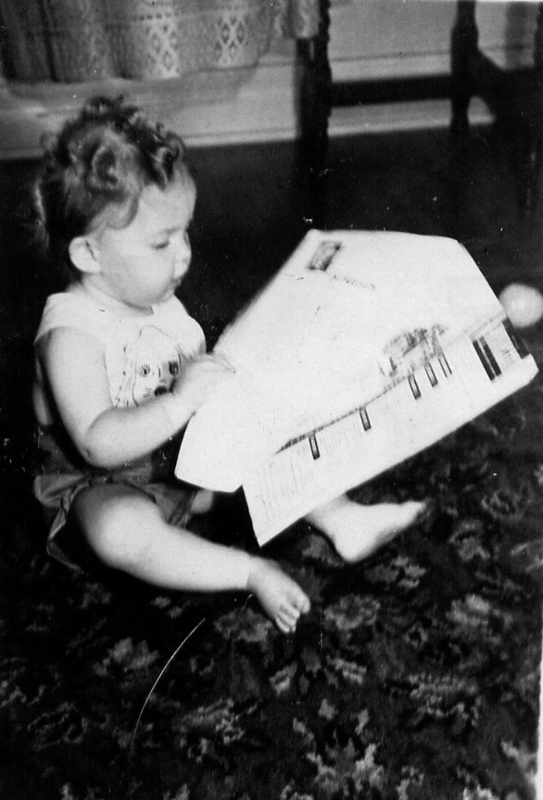 I also remember sitting and playing quite often on the side/kitchen porch steps. I had a collie dog while we lived on Hardin Drive. I don’t remember his name [Mother had always loved collies; she said they had one when she lived in Virginia]. Mother said he stayed with me constantly and I do remember a time when I was across the street and started to cross back to my yard; a car was coming and as I stepped into the street, the dog grabbed my hand with his mouth and held me back until it was safe to cross. I was across the street one evening at dinner time. The little neighbor boy I played with had gone in to eat and I stayed in the back yard playing on some type of gym bar (it was probably attached to a swing set). I was showing off (he could see me through the dining room windows) by hanging by my heels. I slipped off the bar and fell to the ground, breaking my arm. 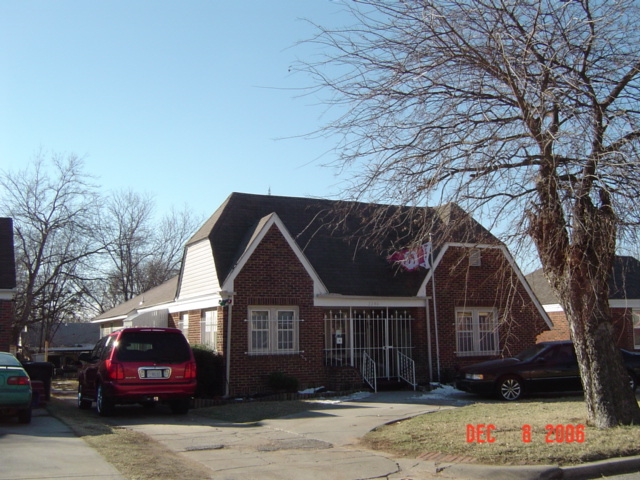 I got a December 2006 photo of the house off the Assessor’s website. It has white bars on all the windows and across the front porch. 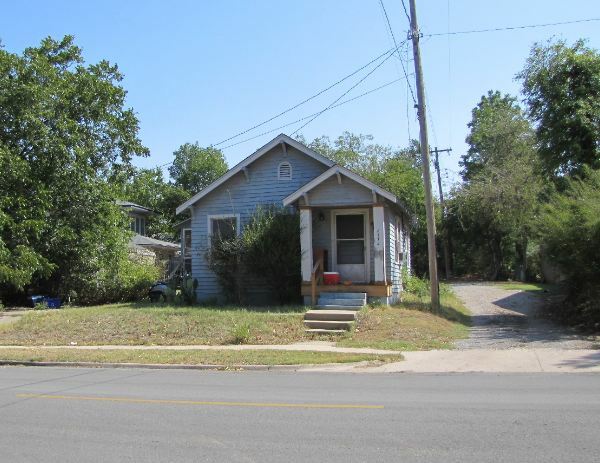 The website shows the house has been added on to in the back and is currently over 2,200 square feet. The garage has had a carpet added as well. They updated the house in 2006. There is no mention of the basement. Apparently the arch on the right side of the house has been removed. Kelsey has the sewing machine in her bedroom and currently (2008) uses it as an end table beside her bed. 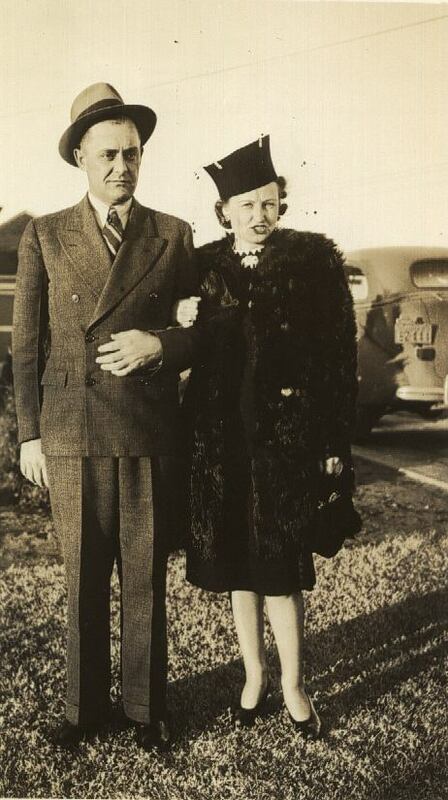 I’ve attached a picture of Mother and Daddy (about 1940) – note her stylish coat and hat and, of course, matching shoes and purse.